Sony Ericsson just keeps knocking them out don’t they? Only this week, what could usually be mistaken as OCD, is actually Sony Ericsson doing their mobile phone duties for Mobile World Congress. And today, it’s the C903 Cyber-shot phone and the W395 Walkman phone hogging the spotlight. We’ve already got hands on with the C902, we’ve seen the C901, we bowed down to the C905 and now the C903 Cyber-shot phone has been welcomed into the fold (now all we need is the C904 and the set is complete). Its camera specs sound pretty run-of-the-mill for a Cyber-shot phone – 5 megapixels, smile shutter, face detection for up to three faces, BestPic, dedicated camera keys – and aren’t really bringing anything new to the table in the camera department. This is the complete antithesis when it comes to its design,m which I think you’ll agree is aesthetically pleasing. Being a cameraphone means the ability to take snappy snaps is imperative, so it’s been given a sliding lens cover, which if anything like the C902 or C905’s lens cover, will be a pleasure to touch. Moving away from it’s camera capabilities, the C903 has a 2.4-inch screen and an accelerometer for portrait or landscape viewing, 3D gaming and navigational features and of course geo-tagging using A-GPS. Connectivity-wise there’s no 3G/HSDPA, instead it’s a GSM/GPRS/EDGE enabled handset and is currently heading for a Q2 release in Lacquer Black, Techno White and Glamour Red. That’s the cameraphone, now let’s take a look at the music-equipped handset. 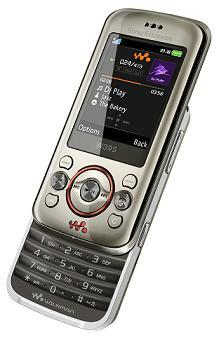 Now, the W395 comes packed with what Sony Ericsson is calling “powerful built-in speakers”. There isn’t anything drastically different about this Walkman phone compared to say, the W715 Walkman phone – it has dedicated music keys, FM radio, TrackID, Stereo Bluetooth, and comes with a 1GB memory card. 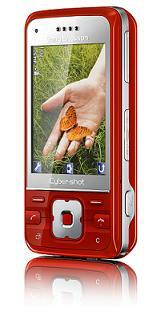 And in true music phone style, it comes bundled with a 2 megapixel camera and supports GSM/GPRS/EDGE. I’m just a little concerned. Isn’t Sony Ericsson going to run out of design ideas soon? Just a thought.